Eastvaal Motors | Get the Hyundai Grand i10 from R2800pm! Get the Hyundai Grand i10 from R2800pm! Get a vehicle that's longer, lower & sleeker! 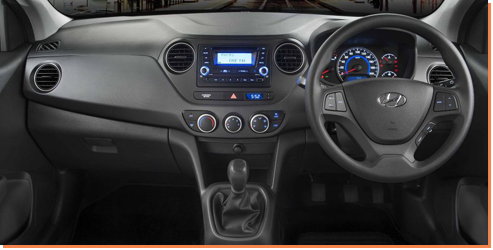 The Grand i10 is sleeker, sportier and bigger than you'd expect. The doors are easy to open and close with access to the driver and passenger areas being smoother than you would imagine. Hyundai's attention to detail helps to define a premium image for this hatchback which is sure to make any owner proud. Get the New Grandi10 manual form R2800 per month with NO DEPOSIT! Grab this great deal today!